In 2008, Michelin made 177 million tires at 69 different sites in 19 countries, and printed 16 million maps and guides. Michelin tires are designed at their Technology Centres on three different continents (North America, Europe and Asia) and are sold in more than 170 countries. Michelin’s summer and all season tires offer comfort and safety, and they respect the environment. Following these principles, Michelin is continuously creating more innovative and better performing tires. Michelin made its first “green” tire in 1992 – an all season tire. More than 400 million models have been sold since it was launched in 1992. The “green” tire represents ¾ of all Michelin sales in Europe. By replacing the carbon black in the tire treads with silica, the “green” tire allows you to save 3% on gas consumption without jeopardizing tire traction. The latest addition to the Michelin series, the Energy tire, has a 20 to 40% longer lifespan than that of the average main competitor. This new generation “green” tire has 30% less of an impact on the environment than its competitors. Michelin Tire has designed the X-Ice Xi3, a winter tire designed for ice that also performs well in light snow conditions. The Latitude X-Ice Xi2, its close parent, was designed for SUVs, pick-up trucks, 4x4s and jeeps. It is also a good alternative for traction on ice. 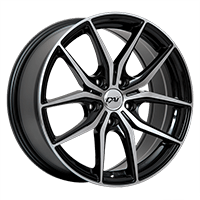 Pilot Alpin PA3, Pilot Alpin PA2 and Primacy Alpin PA3 are all high-performance winter tires. They are low profile and come in a wide array of sizes with H or V speed ratings. They are tailored for luxury vehicles and high performance cars. Michelin offers 2 winter tire categories: high performance ice and snow tires. All winter tires offered by Michelin answer the needs of drivers who frequently use highways. However, they offer less traction in heavy snowfalls. Canadian and especially Quebec drivers who use secondary roads that are not cleared as much will notice that most Continental winter tires offer less traction in heavy snowfalls. 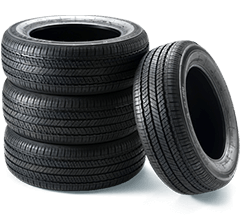 Michelin Tire offers Canadians different choices for summer and all season tires for all vehicle types: cars, station wagons, sports cars and sport utility vehicles. Michelin has different models of summer and all season tires that are known for their traction in wet and dry conditions. Goodyear makes durable all season car tires like the new Michelin Defender and the classic HydroEdge. They also make all season tires for SUVs, like the LTX M/S2. The Michelin summer car tire category includes the Primacy HPand the Latitude Sport, both available in different sizes. Michelin specializes in manufacturing light truck tires that offer excellent driving comfort. Even Michelin’s off-road tires provide good moving power while offering the comfort of an on-road tire. Another characteristic of Michelin’s light truck tires is that they get excellent mileage. This is also one of Michelin’s priorities when conducting research for their new tire designs. From an environmental perspective, Michelin is always looking for new ways to produce longer-lasting tires that create less friction with the road. This results in substantially lower fuel consumption, something we must not overlook with so many big gas guzzling vehicles out there. Michelin tires are often more expensive to buy, but they will give you better mileage than the low end tires. For those that do a lot of mileage and plan to keep their vehicle for a long time, Michelin tires could very well be a more affordable choice! Michelin offers a complete range of tires for trucks, vans, pickups and jeep 4x4s for all different uses. Michelin has all season tires for long hauls, city driving or commercial use, as well as off-road tires and even summer performance tires for light trucks. Michelin’s on-road tires, like the Latitude Tour and the LTX M/S2 offer excellent durability and driving comfort. Michelin’s on-road and off-road tires give good traction in difficult conditions. The LTX A/T 2 is a good choice for truck, pickup or jeep 4x4 drivers, whereas theXPS Traction is a better choice for commercial vehicles. Michelin also has the 4x4 Diamaris, a high-performance summer tire for SUVs with a great sporty look and superior traction at high speeds. Michelin Tire is a leader in a lot of car racing competitions. According to the manufacturer, the racetrack is the best laboratory to test innovative technologies in extreme conditions to find new ideas for tire designs. Michelin and their high-performance tires have won 19 victories at the 24 Hours of Le Mans competition, where their 13th consecutive win was in 2010. Michelin is also at the top in the American Le Mans Series where they have won over 100 victories since 1999! Many victories Formula 1 victories have also been won by this French manufacturer. In 2005, Michelin equipped seven Formula 1 teams, including Renault and McLaren, the two predominant teams that season. In 2007, Michelin withdrew from Formula 1, leaving Bridgestone to take over and become the main supplier to this day. Michelin Tire offers high-performance summer and all season tires with excellent traction at high speeds in both wet and dry conditions. Michelin high-performance summer and all season tires are great for cars and, in certain sizes, for SUVs and pickup trucks. Michelin offers high-performance summer tires, like the Pilot Sport PS2and the Pilot Sport for cars, and the 4x4 Diamaris for SUVs. Summer performance tires offer better traction than all season performance tires, but tend to be a bit less durable. Michelin also offers high-performance all season tires, like the Pilot Sport A/S Plusand the Pilot Exalto A/S, both are efficient in temperatures as low as -7 degrees Celsius and are more durable than summer performance tires.